SingaporeSoap.com ships our soap bases and soap making supplies and products locally via Singpost & Third Part Courier or internationally via Singpost Registered Airmail & DHL Express Worldwide for the fastest, most reliable service. All shipping rates are determined by the weight and size of your package – which can be quoted during checkout or by our online shopping cart. To get a shipping rate quote: Simply add your items in your shopping cart and enter your shipping information accordingly, most importantly to have a more accurate shipping fee estimate, remember to choose the correct country, state and postal / zip code. Please note that the shipping quote does not include any import or duty fees, you are responsible for those additional fees (which vary from country to country), if any. To place an order: To ensure your credit card safety it is best to use the shopping cart to place your order. If you do not have a credit card / paypal account, you may also select Bank Transfer option and use Bank Transfer / Telegraphic Transfer for the purchase completion. Once you are done with the telegraphic transfer for the purchase amount, contact us at Sales@SingaporeSoap.com / via Whatsapp @ 9483 2196 with your order number and we will verify the fund transfer for you. Singapore Post Airmail: This service is provided by Singapore National Postal Service. Singapore Post Limited, commonly abbreviated as SingPost, is an associate company of Singapore Telecommunications Limited and Singapore’s designated Public Postal Licensee which provides domestic and international postal services. All parcels are sent via SingPost Registered Airmail. Shipping fee computed by our system automatically is an estimated cost. If there are any excess in shipping fee paid, we will refund the excess payment to you after confirmation by Singpost. SingPost Registered Airmail provides tracking number for you to track the status of your parcel. Please note that SingaporeSoap.com will ensure that all parcels are sent to Singapore Post for overseas dispatching but we cannot be held responsible for any mail lost or damaged in transit. By placing an order with this website, you are agreeing to the terms and policies as stated. DHL Express Worldwide: This service is provided by DHL. 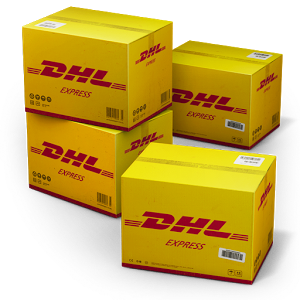 DHL Express is a division of the German logistics company Deutsche Post DHL providing international express mail services. Deutsche Post is the world’s largest logistics company operating around the world, particularly in sea and air mail. DHL Express Worldwide is a door-to-door delivery service. International delivery takes around 2 – 5 business day. There are tracking numbers available for this service. Any Duty, Tax, or Brokerage fees related to this order is the responsibility of the recipient. SingaporeSoap.com does not know what the duties/taxes are in your area, and we do not know if there will be brokerage fees. By proceeding with the order, you are accepting responsibility for these fees. Shipping Restrictions: It is your responsibility to be aware of the specific import restrictions for your country. If your package is refused or destroyed due to customs rules, SingaporeSoap.com will not be able to refund your order or offer a replacement at no charge. We can no longer ship to Russia, Nigeria, Italy or Greece. Unfortunately, Italy has import laws that do not allow Cosmetics or soapmaking supplies into the country. While Greece requires special paperwork and inspections that are beyond our international shipping abilities. If you choose to place an order and have it shipped to Italy or Greece, SingaporeSoap.com will not be able to refund you for shipping charges or the product if it is confiscated. Due to Russian importing rules (as of May 2014) we can no longer ship to Russia. Due to Nigerian importing rules (as of July 2014) we can no longer ship to Nigeria. Shipments of colorants and botanicals to Mexico require special licensing. Please make sure you have the correct business license before you order. Shipments to Brazil require a Tax ID number for private individuals and businesses. In Brazil, this is called the CPF – Cadastro Pessoa Fisica and has a format like 000.000.028-00, For businesses the number is called a CPNJ Cadastro Nacional de Pessoa Juridica and it has a format like 00.000.486/0001-0. Shipments to Serbia require a business license for invoices over $200 US. Please make sure that you meet those requirements as we cannot reship or refund orders that are confiscated by customs.